Sharktank Research Foundation announces promising news for CF patients with ‘X’ or nonsense mutations, which cause a premature stop codon. The CFTR nonsense mutation W1282X is shown to be activated by a natural dietary supplement, curcumin.1 Recently, it was reported that another natural dietary supplement, escin, can suppress CFTR nonsense mutations, promoting read through of full-length CFTR. 2 By virtue of structural similarity to escin and its own reported health benefits as an anti-inflammatory and anti-asthma 3 supplement, Boswellia serrata extracts (also known as frankincense) were selected to be included in the first available therapy for nonsense mutations of CFTR: Indrepta C.
Combination therapies work better to correct and potentiate activity of mutant CFTR than single treatments – this is why many research groups are currently working on combination therapies. Indrepta C has three different ingredients that may serve to regain activity from nonsense mutations: curcumin, escin, and the Boswellic acids of Boswellia serrata. To create Indrepta C, we folded these ingredients into the base formulation of Indrepta B, which has additional supplements known to correct, potentiate and otherwise activate mutant CFTR or to help mutant CFTR be retained longer in the membrane where it is needed. Because dietary polyphenol supplements are absorbed better by the body when taken in combination, we expect that improved bioavailability is another advantage of Indrepta C over supplementing with any single therapy, such as escin, alone. Although we chose ingredients with known health benefits and excellent safety, any new supplement should be gradually ramped up to a full dose that best suits the individual. There are over 150 different nonsense mutations of CFTR known to cause CF disease. We have no idea which patients will respond best to Indrepta C. The only way to find out is to manufacture a standardized product and make it widely available so that all interested CF patients can compare responses. Currently there is no therapy whatsoever that is targeted to CFTR nonsense mutations, therefore Sharktank is pleased to be first to make something available to this group. Sharktank also announces minor changes in Indreptas A and B. Indrepta A now substitutes apigenin for naringen, to alleviate concerns of some patients regarding citrus ingredients. 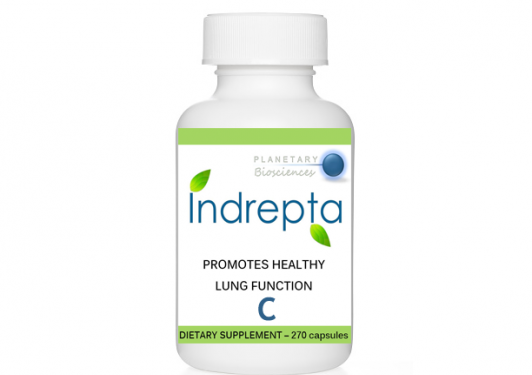 Indrepta B now reports 150mg daily of amentoflavone, a natural phosphodiesterase inhibitor, to potentially enhance further the sensation of breathing better that residual function mutation patients report from Indrepta B. 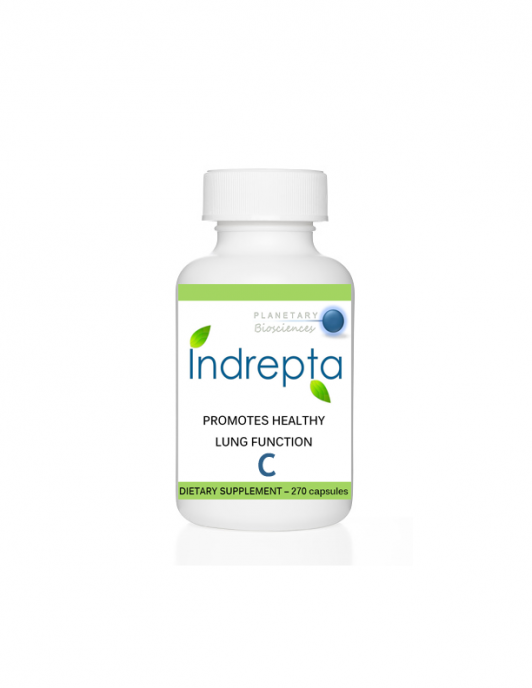 The Indreptas represent our best current knowledge of CFTR-active supplements that would most benefit patients, and they will be updated and expanded as knowledge grows. Most of us are aware that suppressing an inflammatory pathway with ibuprofen can slow lung function decline in CF. 4 Similarly, it is reported that normal individuals on anti-inflammatory statin drugs show significantly less age-associated lung function decline than patients who do not take statins. 5 Lung transplant patients on statins enjoy improved outcomes. 6 The consistent underlying thread is that regular use of an anti-inflammatory therapy protects the lungs. Benefits of supplementation with powerfully anti-inflammatory dietary polyphenols in lung disease and transplant patients is an area that deserves our focus. We are grateful as always to Sharktank members and to all of our CF community partners for their support for these projects. For more information see https://planetarybiosciences.com. 1. Wang W, Hong JS, Rab A, Sorscher EJ, Kirk KL. Robust Stimulation of W1282X-CFTR Channel Activity by a Combination of Allosteric Modulators. PLoS One. 2016 Mar 23;11(3):e0152232. doi: 10.1371/journal.pone.0152232. PubMed PMID:27007499; PubMed Central PMCID: PMC4805204. 2. Mutyam V, Du M, Xue X, Keeling KM, White EL, Bostwick JR, Rasmussen L, Liu B, Mazur M, Hong JS, Falk Libby E, Liang F, Shang H, Mense M, Suto MJ, Bedwell DM, Rowe SM. Discovery of Clinically Approved Agents That Promote Suppression of Cystic Fibrosis Transmembrane Conductance Regulator Nonsense Mutations. Am J Respir Crit Care Med. 2016 Nov 1;194(9):1092-1103. PubMed PMID: 27104944; PubMed Central PMCID: PMC5114449. 3. Gupta I, Gupta V, Parihar A, Gupta S, Lüdtke R, Safayhi H, Ammon HP. Effects of Boswellia serrata gum resin in patients with bronchial asthma: results of a double-blind, placebo-controlled, 6-week clinical study. Eur J Med Res. 1998 Nov 17;3(11):511-4. PubMed PMID: 9810030. 4. Konstan MW, Schluchter MD, Xue W, Davis PB. Clinical use of Ibuprofen is associated with slower FEV1 decline in children with cystic fibrosis. Am J Respir Crit Care Med. 2007 Dec 1;176(11):1084-9. PubMed PMID: 17872492; PubMed Central PMCID: PMC2176097. 5. Alexeeff SE, Litonjua AA, Sparrow D, Vokonas PS, Schwartz J. Statin use reduces decline in lung function: VA Normative Aging Study. Am J Respir Crit Care Med. 2007 Oct 15;176(8):742-7. PubMed PMID: 17673694; PubMed Central PMCID:PMC2020828. 6. Li Y, Gottlieb J, Ma D, Kuehn C, Strueber M, Welte T, Simon AR, Warnecke G, Haverich A. Graft-protective effects of the HMG-CoA reductase inhibitor pravastatin after lung transplantation–a propensity score analysis with 23 years of follow-up. Transplantation. 2011 Aug 27;92(4):486-92. doi:10.1097/TP.0b013e318225670d. PubMed PMID: 21712756. Written by: jimcaldwell on March 17, 2017.